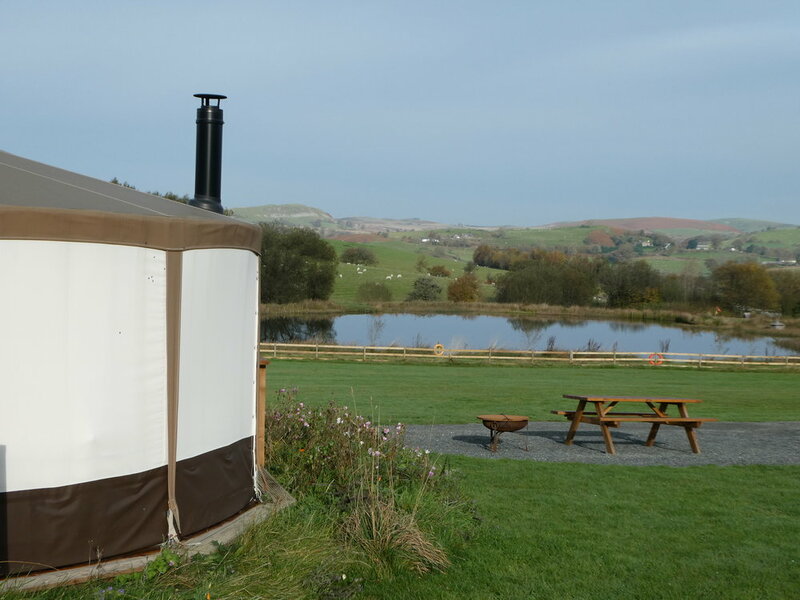 Four Glamping Yurts, set beside a picturesque lake with views across Radnorshire. Each with their own log burning fire, comfy double bed, pull out futons and an equipped private kitchen. 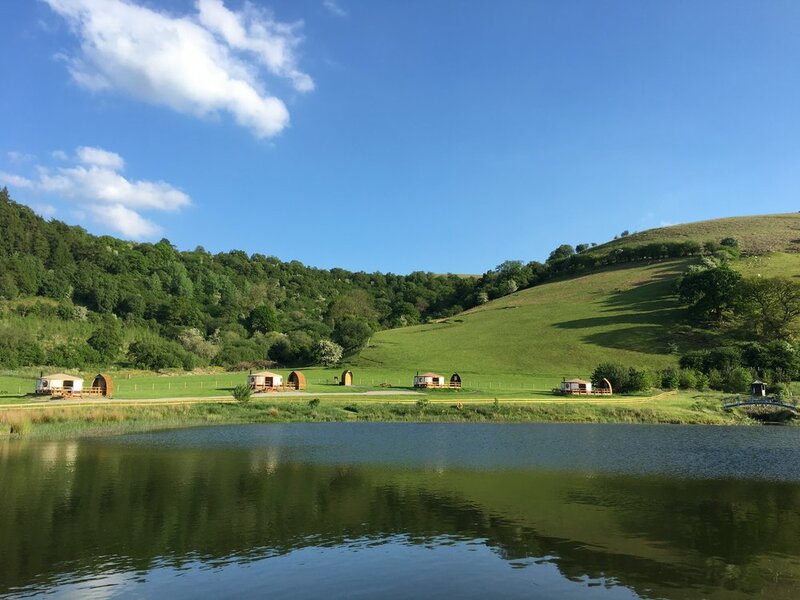 If you’ve not got any camping gear or just fancy an escape into the hills without packing the car to the top or hitching your caravan then our glamping yurts could be a perfect match. Each one has a double bed and two pull out futons. All bedding is provided, but we don’t provide towels - so don’t forget to pack it! Every yurt has it’s own kitchen shed, which is equipped with pots, pans, plates and cuttlery. There is also a gas stove and little fridge. Each yurt has its own water tap. The water is from our own supply and is delicious drinking water. We have a great recycling system, with buckets you can use to stash your cardboard, paper, tin, glass and other recylcables before you take them to the recylcing shed. The shop has been carefully curated over the years we have been running a campsite and is stocked with most of the basic essentials you may find you need on holiday. If we don't have what you need then please ask and we can point you in the right direction. We have a coffee shop and bar on site, it is not open all the time but is open during the main spring/summer season. Please look at the opening times. Set on a beautiful organic farm, just 20 minutes away from Fforest Fields, is one of the most unique and charming outdoor performance spaces in the country. The Willow Globe is a scaled down, living version of the iconic Globe Theatre in London. If you are a keen crafter or natural fibre enthusiast this is an event not to miss. We have pitches available at Fforest Fields and we look forward to welcoming you here to enjoy the fun of the festival! 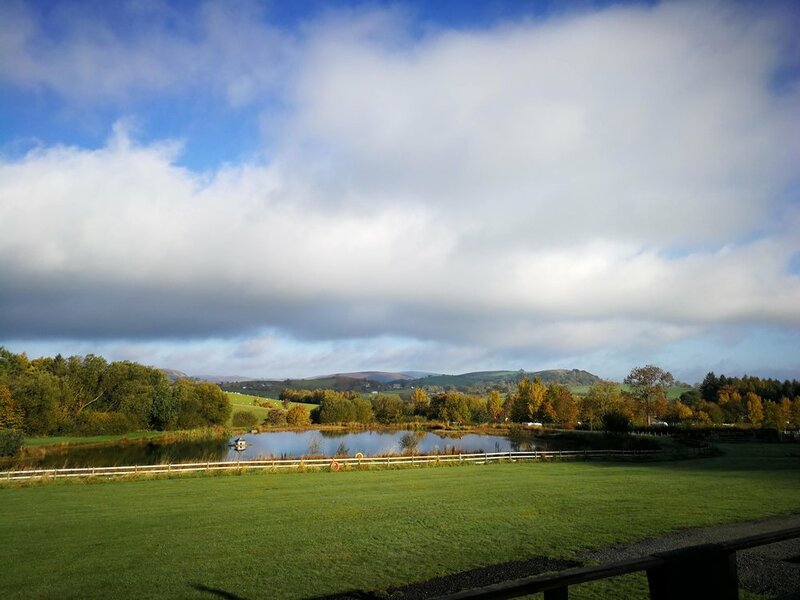 We love swimming in open water, here in landlocked mid Wales we use the lakes and mountain streams to find the beautiful high that comes with plunging into cool, fresh water. The message in this video is so simple and charming, we think it’s worth a watch. Ian, Jessie and Buddy set off on an adventure to explore Hafren Forest and admire the magnificent Clywedog Resevoir on Sunday. See the photos! 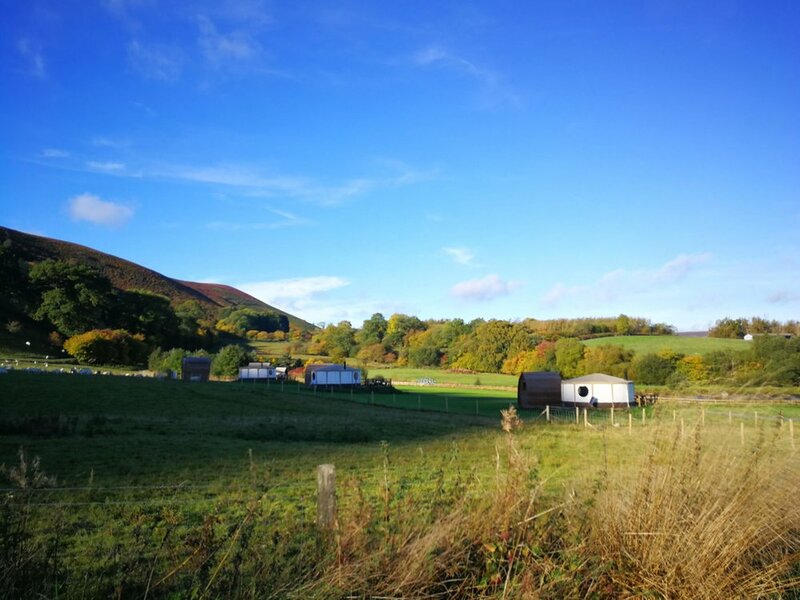 There are some fantastic places to eat out near Fforest Fields, from proper local pubs with hops still dangling from the ceiling, to cafes, fine dining and even a local tapas bar! 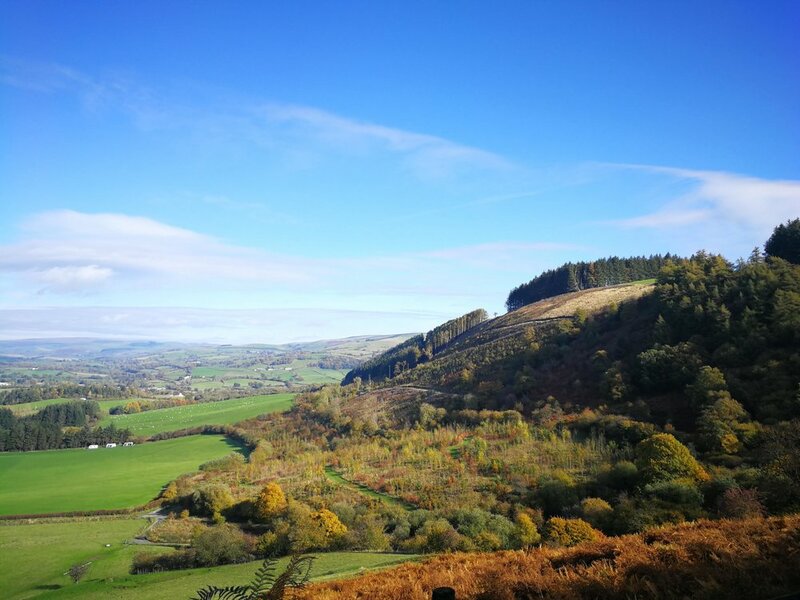 Mid Wales is one of the most sparsely populated areas in the UK, but dotted around the countryside are some fabulous local towns which offer a glimpse into life in the Welsh hills.